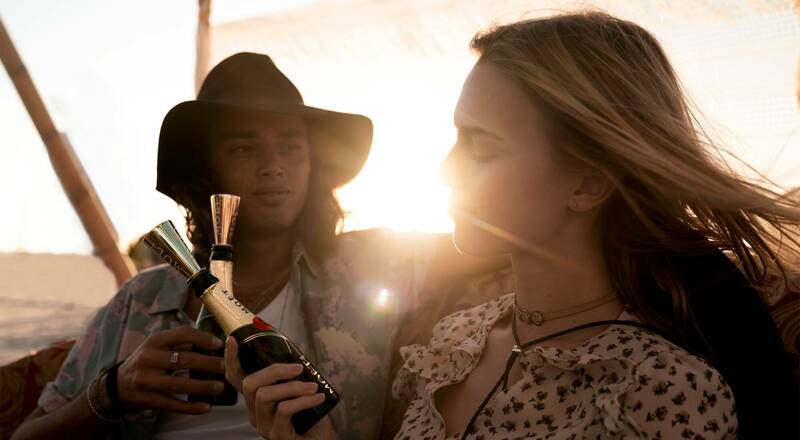 Moët & Chandon is launching its new “Must Be” advertising campaign on June 9th. The campaign, which signals a new communication platform for the Maison, centers on life’s most memorable moments, celebrated with a bottle of Moët & Chandon since 1743. Moët & Chandon has always been part of life’s most enjoyable and memorable moments. The new “Must Be” ad campaign spotlights these moments of heightened emotion – the birth of a child, a first meeting, a professional success – celebrated with a bottle of Moët & Chandon champagne. Directed by award-winning French director Emmanuel Cossu – whose credits included the much-remarked Miss Dior campaign with Natalie Portman – the “Must Be” film interweaves the destinies of characters living defining and powerful moments: a future father racing through the streets to meet his newborn child, a young ballerina stepping onto the stage for the first time, a female astronaut about to make history as she braces for landing on Mars… All have compelling reasons to celebrate the moment, a “Must Be” with Moët & Chandon – a bottle of which is opened every second around the globe! The launch of the campaign on June 9th coincides with the annual “Moët & Chandon Grand Day” of celebrations hosted by the Maison around the world. The film will be released across digital platforms, social media and movie theaters.